A wedding on the Amalfi Coast provides incredible choises for a couple for setting. 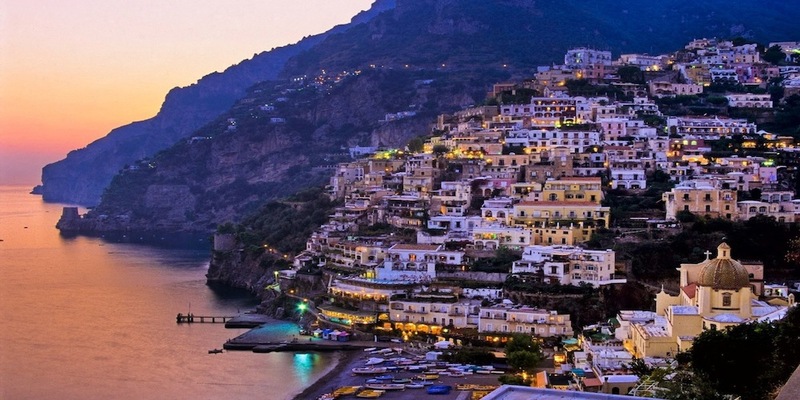 Costiera Amalfitana gets the name from Amalfi, the core of the coast, both geographically and historically, around which are located a series of islands and villages, including Positano, Maiori, Minori and Ravello. A Wedding on the Amalfi Coast provides incredible choices for a couple in terms of space, setting and ceremony. Terraces on a cliff overlooking the sea, full of lemon plantations and blooming cliffsides, offer an incomparable view to the multitude of tourists which come to visit every year. Needless to say, one of the most typical products from this land is Limoncello, a liqueur wine made from the lemons growing in the area, that has an exquisite and peculiar taste, nowadays exported and well-known worldwide. Capri is an island in the Gulf of Naples, right in front of the Sorrento peninsula. Surrounded by an amazing blue, turquoise-coloured seawater, with a very irregular shore, full of secret caverns and coves. The imagine of Capri is represented by the recognisable Faraglioni, three spurs of rock that rise out from the sea, meters away from Capri southern coast. The rocks have each been given a name: the first, still attached to the land, is called Stella; the second, separated from the first block by a stretch of sea is Faraglione di Mezzo characterised by a fascinating cavity, that allows the passage of small boats. The third is the Faraglione di Fuori or Scopolo, meaning ‘head’ or promontory stretching into the sea. Capri is also very famous for the exclusivity of the Boutiques, nice Cafés, typical Restaurants and charming Villas overlooking the sea. Another peculiarity is that it is one of the international Jet Set’s favourite spots. You cannot help but fall in love with Capri and the incredible atmosphere of ‘Bella Vita’ which mixes luxury and the typical Italian relaxed way of life. Italian Wedding Designer can organize a wedding in Capri or on Amalfi Coast on charming and romantic terraces with breathtaking views.